Just look at these bracelets! 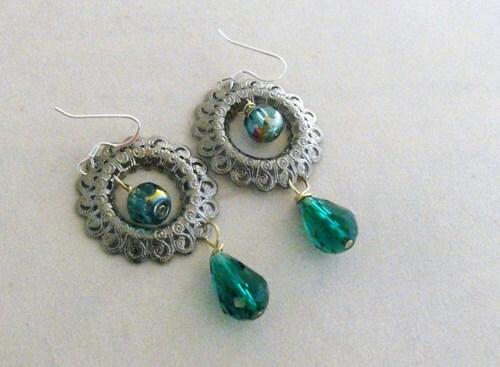 They have a shabby chic, gypsy look that I love! I stumbled on the tutorial here and was “hooked” on locker hooking before I even tried it. 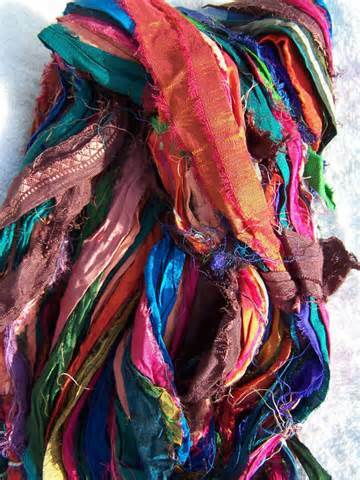 They use Sari silk ribbon which I find very beautiful but have never tried. Yes, I love it in jewelry but never actually thought I would use enough of it to justify buying two or three bundles. I now have the perfect excuse! Yaaay! It’s going to be a busy month or two for me. My birthday is coming and my daughter is taking me to a huge bead store in Cinncinati. 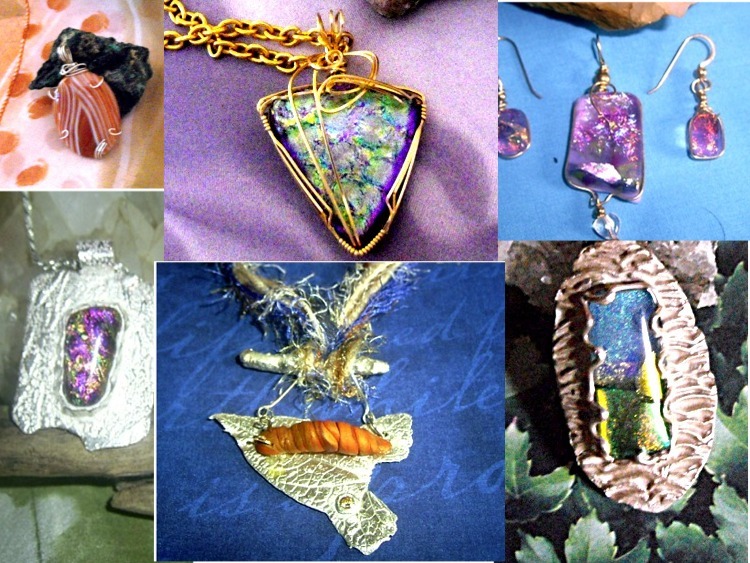 The Brukner Gem & Mineral Show is April 26 and 27th. Woot! Woot! Lots of new beads in my future! 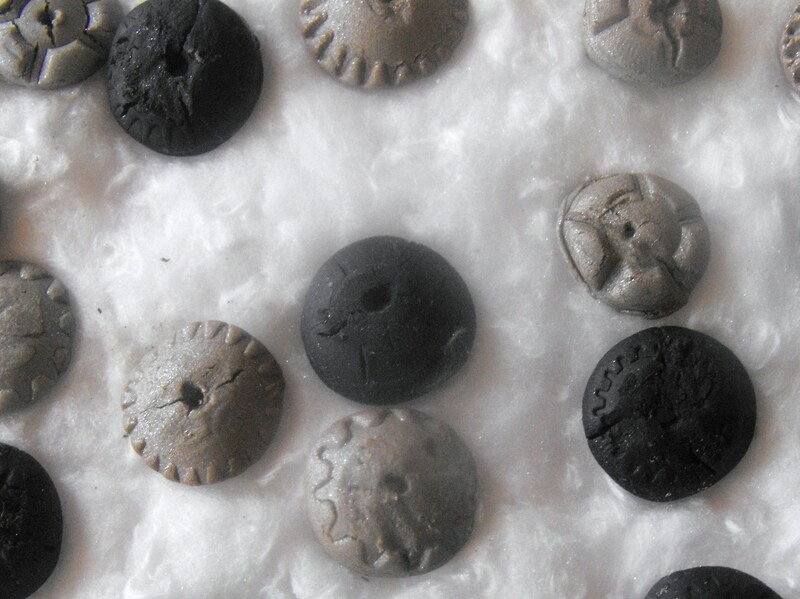 And cabochons! 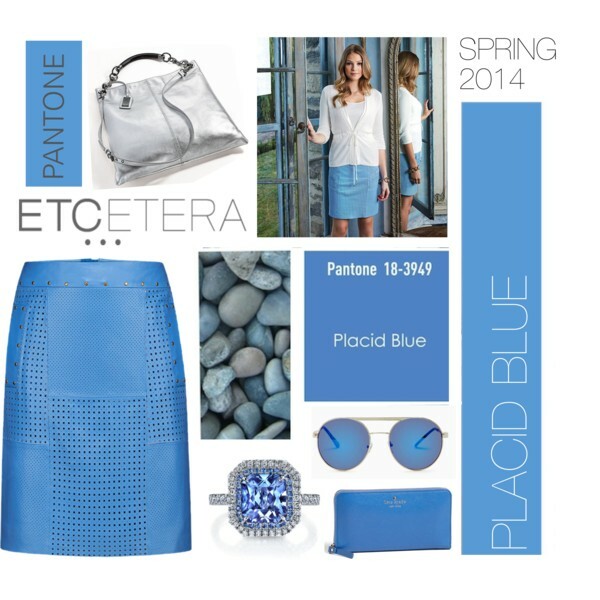 I’ve also joined the design team at Znet Shows, check out their Facebook page. 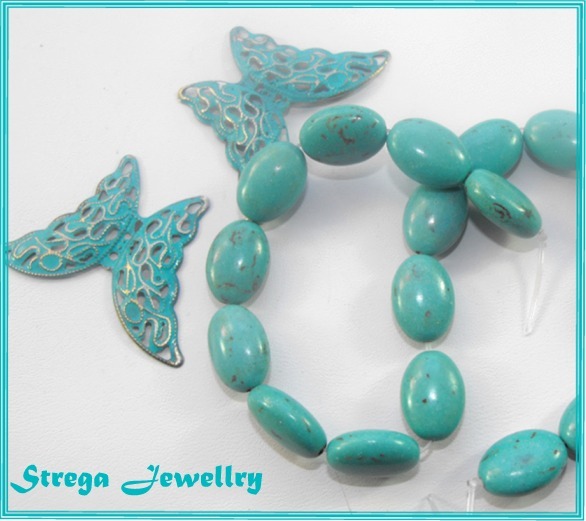 They have lots of cool beads there! 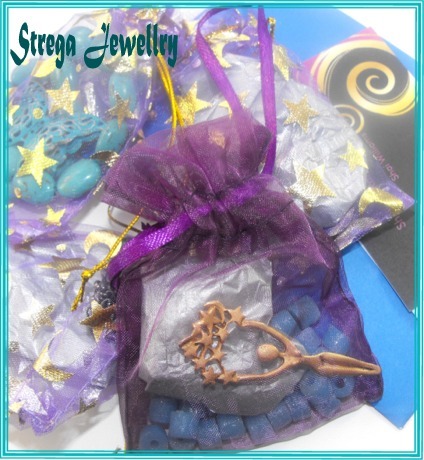 They send the team a selection of beads and challenge them to design with the beads that are sent, blog about them and share on Facebook AND send photos for their e-zine, Creative Spark! This will be lots of fun! Their summer challenge involves sea glass beads and that is all I know so far but I’m psyched! 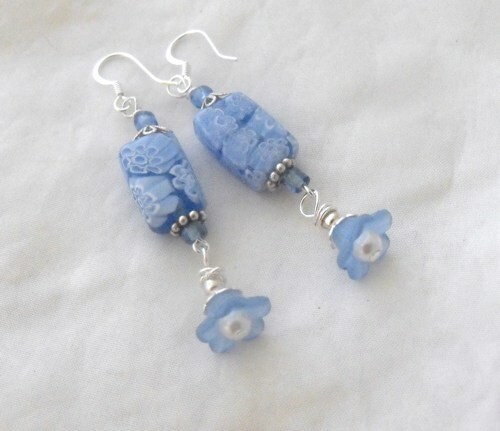 I’ve been wanting to work with sea glass beads and here is my chance! 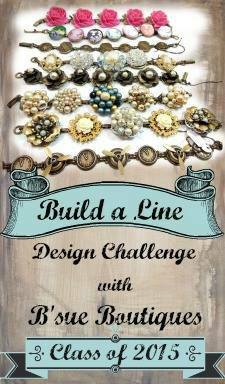 And, of course, I am still working on the Jewelry Mojo Challenge and my Bead Soup for the blog party! Woot! Woot! I see a lot of fun in my future! AND BEADS! 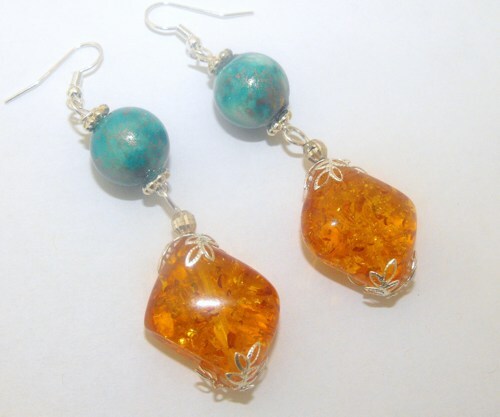 November 15, 2013 is the date of the fundraiser auction for Beads of Courage. I’ll tell you all about the Art Charm Exchange later. 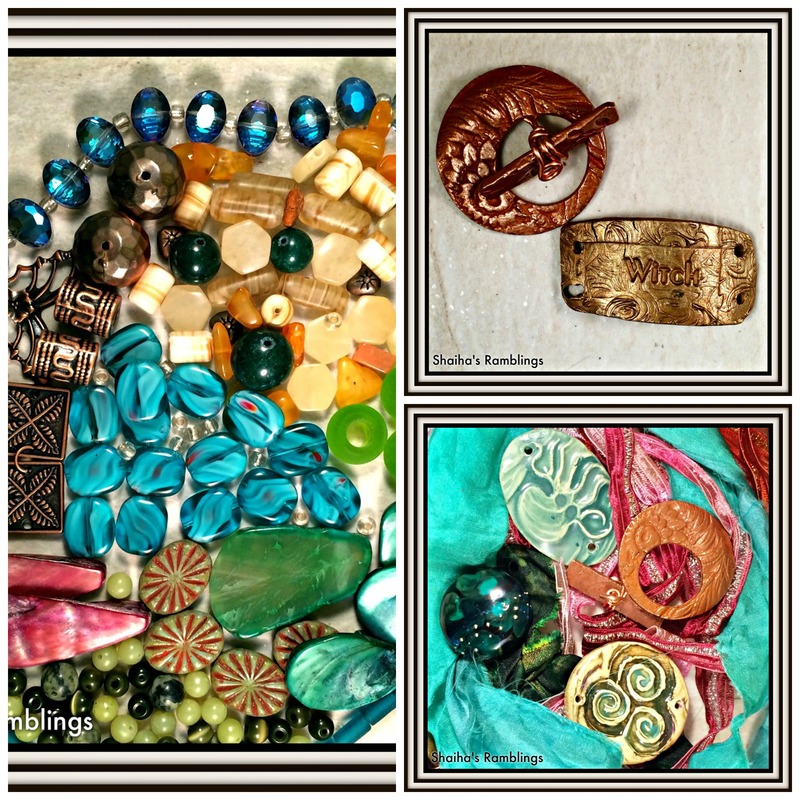 Many artists have created art charms……10 to swap and one for the auction. These works of art will be auctioned off to benefit Beads of Courage. We want to raise a lot of money for this great organization so I’ll be asking everyone I know to check out the auction. Right now, I want to tell you about Beads of Courage. 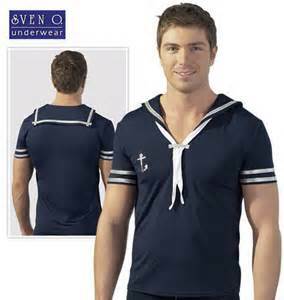 I’m taking most of this directly from the web pages because they tell the story much better than I can. Hoping that beads could cheer up young cancer patients in hospitals the same way they do at camp, Baruch founded Beads of Courage in 2004. Children who participate in the program receive colored beads that represent milestones, procedures, and acts of bravery. For instance, they get a yellow bead for an overnight hospital stay, a white one for chemotherapy, and a glow-in-the-dark bead for radiation treatment. It’s not uncommon for children to amass 10, 20 — even 35 — feet of beads. It helps young patients track and celebrate their progress, but it also gives them a way to get through upcoming procedures, says Gwendolyn Possinger, the coordinator of Children’s Memorial Hospital’s Beads of Courage program in Chicago. “A child facing another needle can look at his beads and realize that he made it through before so he can do it again,” she says. Today the nonprofit organization supports more than 10,000 children in 60 hospitals in the United States, Japan, New Zealand, and Ireland and is funded exclusively by private donations. 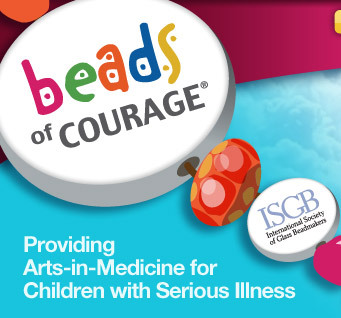 With the help of participating hospitals, Beads of Courage is also constantly evolving. Baruch and her team have expanded the program to include many conditions and diseases. 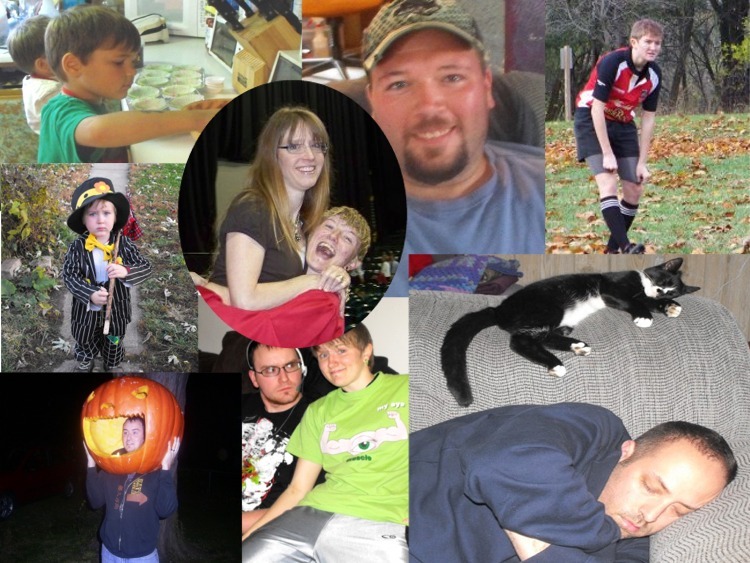 They also focus on other ways the arts can help families dealing with a serious illness. What a wonderful way to use the arts to benefit kids and their families who are going through agonies while their children suffer. I know first hand how much a simple piece of jewelry can mean to a child who is suffering through numerous treatments and interminable pain. 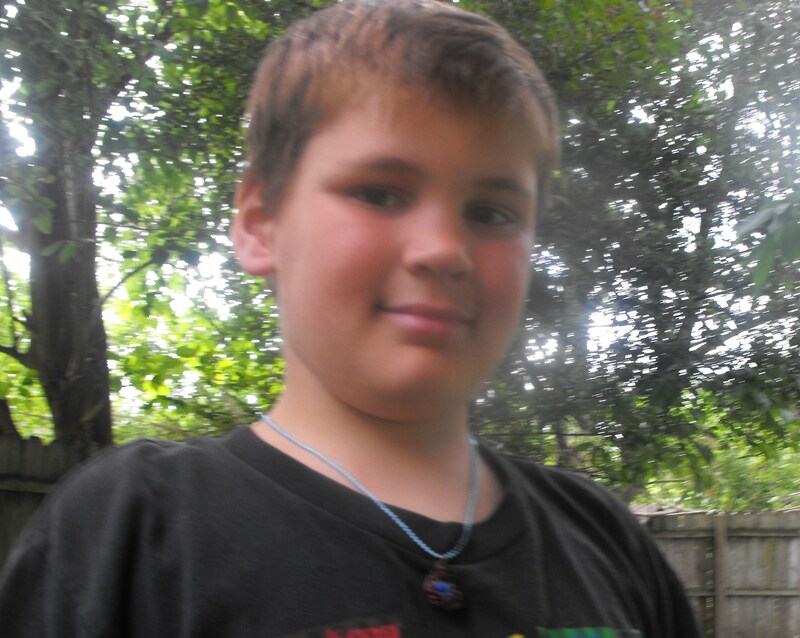 Read my blog about my young friend, Casey, and how much a simple necklace helped him and you might understand more about Beads of Courage. I believe it is a wonderful project. I signed up for an Art Charm Exchange and Charity Auction. 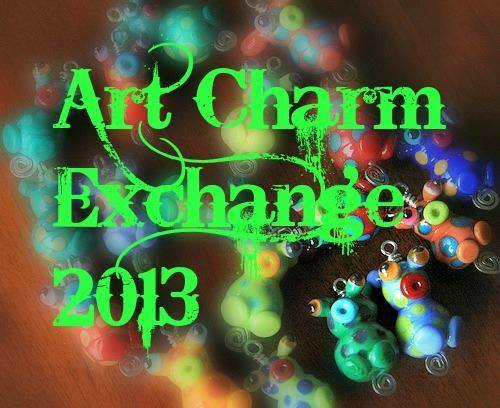 Jennifer Cameron of Glass Addictions, a very talented lampwork artist, is hosting another art charm exchange. What the heck is she talking about now, I hear you thinking? Here’s how it works. 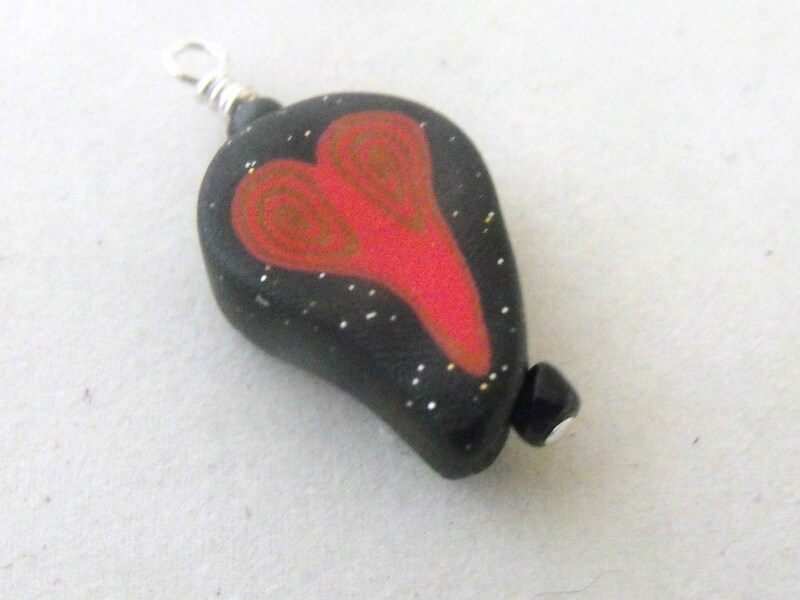 Each of 60 participants creates an art charm, well, actually 11 art charms. We send them to Jennifer. 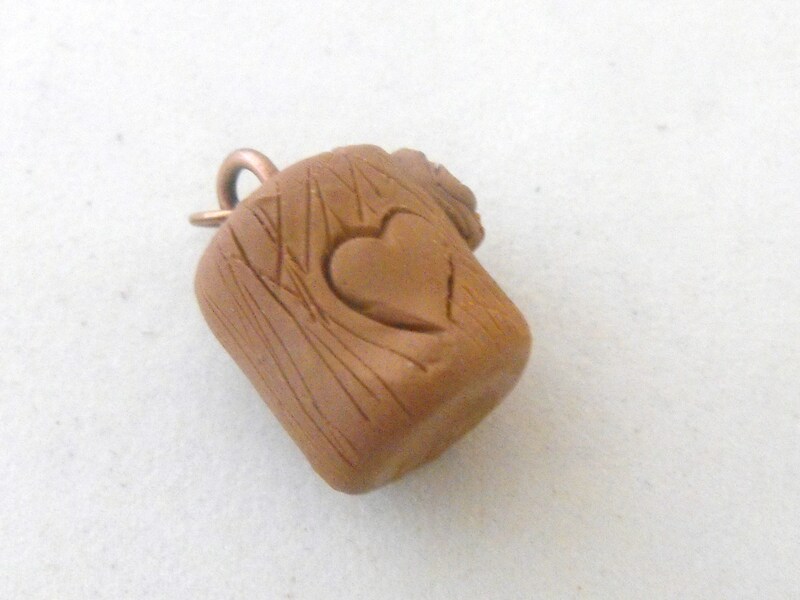 We will receive 10 different charms back (from various others) and one charm is donated to an auction, a charity auction to benefit Beads of Courage. 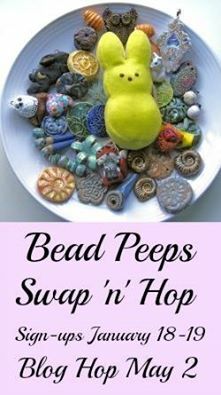 You can read all about Beads of Courage here. It’s a wonderful idea that use art to encourage children who suffer from life threatening illnesses. 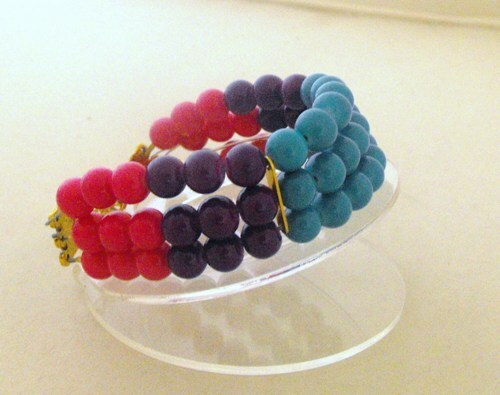 Each time a child goes through a step in their treatment, they receive a bead. 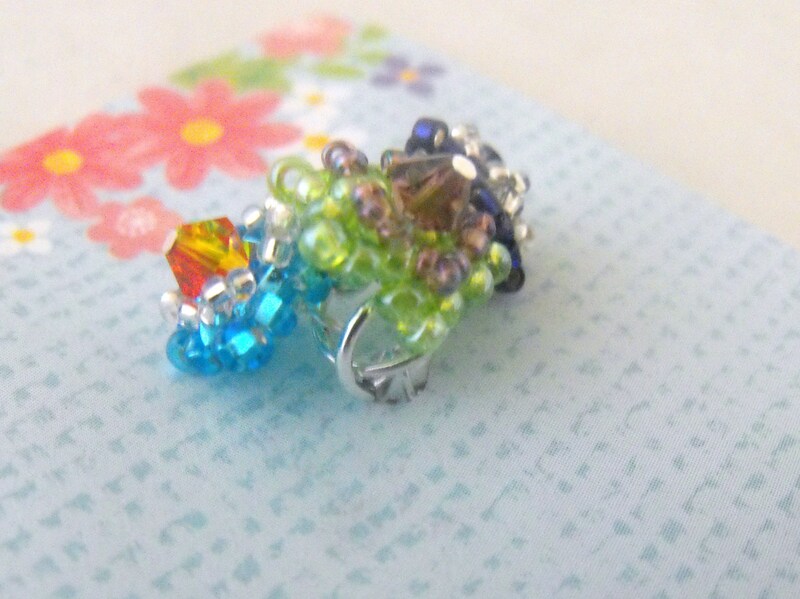 I’m going to do another blog, just about Beads of Courage so I won’t tell a lot about it here. This sounded like so much fun, I had to sign up. Then, I decided that I should maybe research a little bit about charms before I I even started to dream up an idea for a charm. 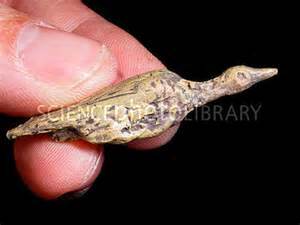 Charms have been worn since prehistoric times. Ancient peoples carved small animals or symbols from bone or stone, maybe to charm the animals to them in a hunt or maybe to protect them from animals. 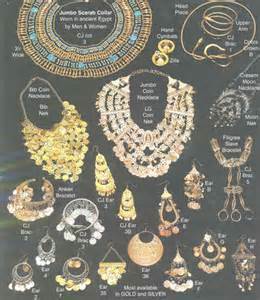 Ancient Egyptians refined the art of making gold jewelry with wax casting. Most of their charms and amulets were created from gold. 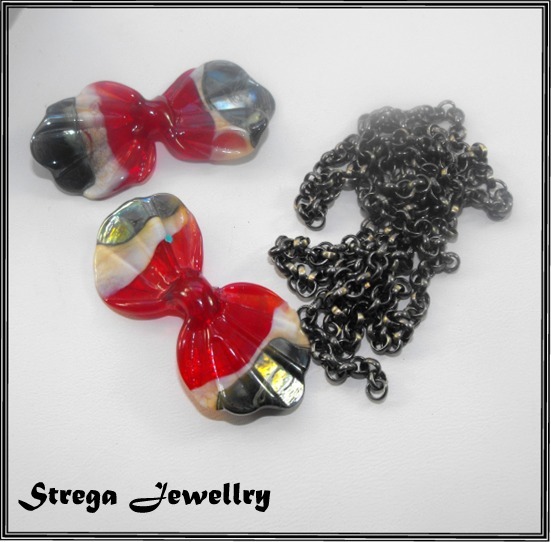 They used charms to ward off evil spirits, protect loved ones in the afterlife, enhance fertility, and assure prosperity. As master goldsmiths they were the first to develop the ability to cast gold, using the lost-wax technique which many jewelry manufacturers still use today. Charms truly became popular through the influence of Queen Victoria of England. She wore small hearts with portraits of her beloved Albert of locks of his hair. Charm bracelets reached the heights of popularity in the United States after World War II. 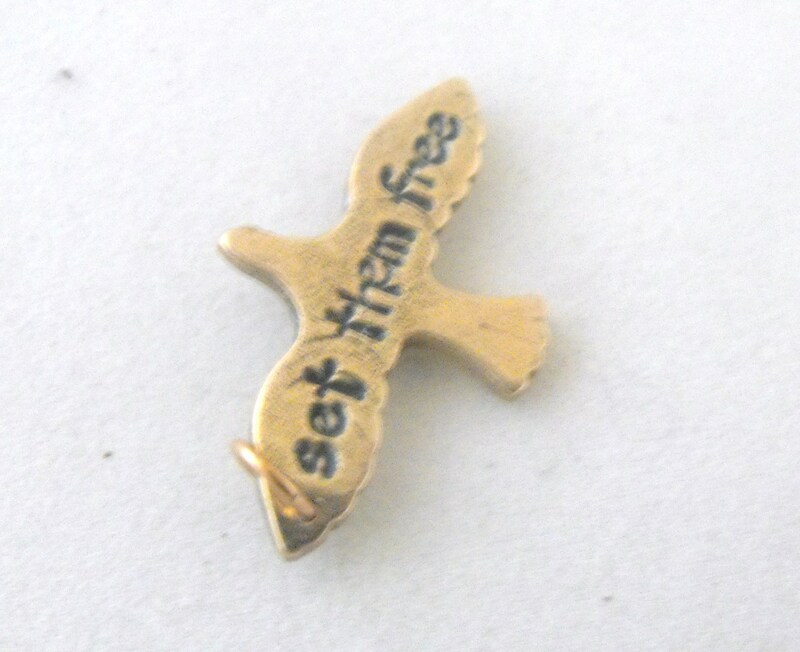 American soldiers returned home with souvenir charms from the cities they had liberated. 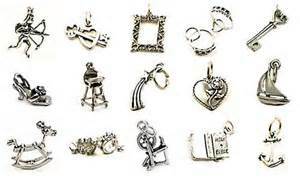 Jewelers soon added charms of various metals, styles, and occasions to their lines. 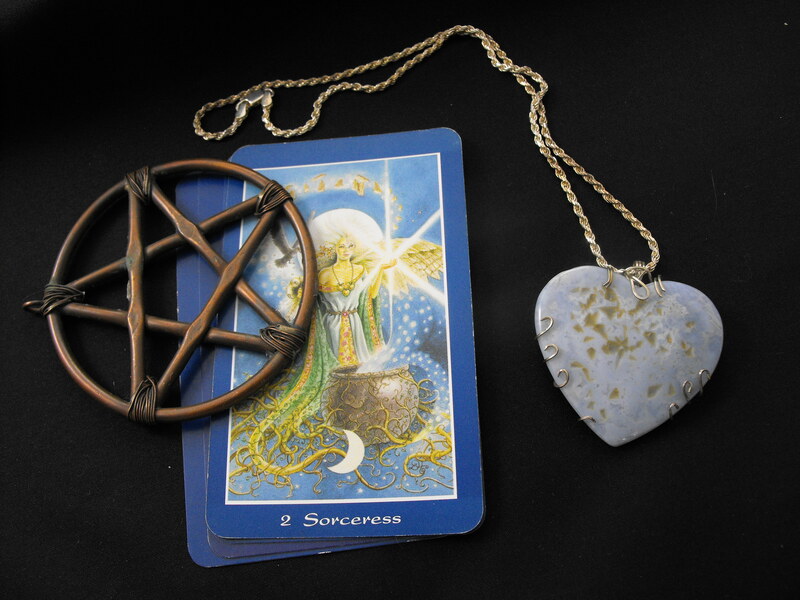 Today, charms are as popular as ever. 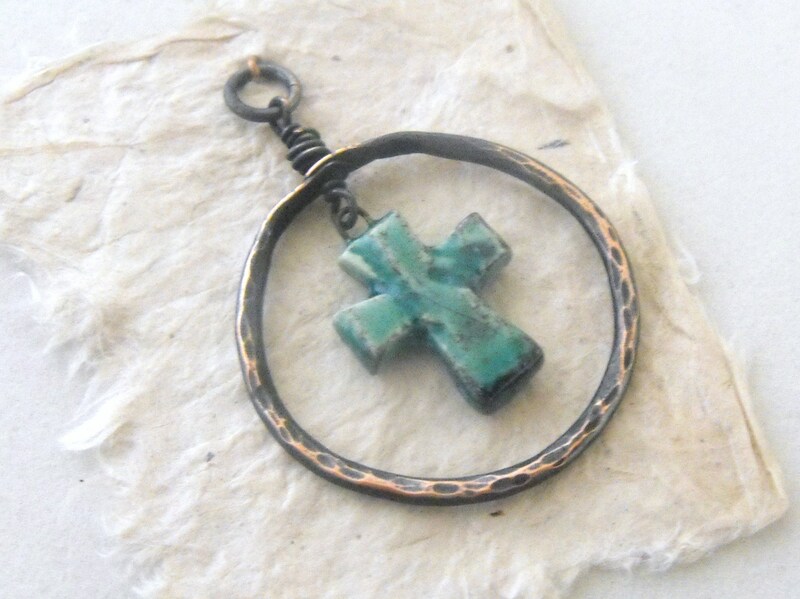 The first piece of fine jewelry a young child receives is typically a charm of faith, such as a cross or religious medallion. 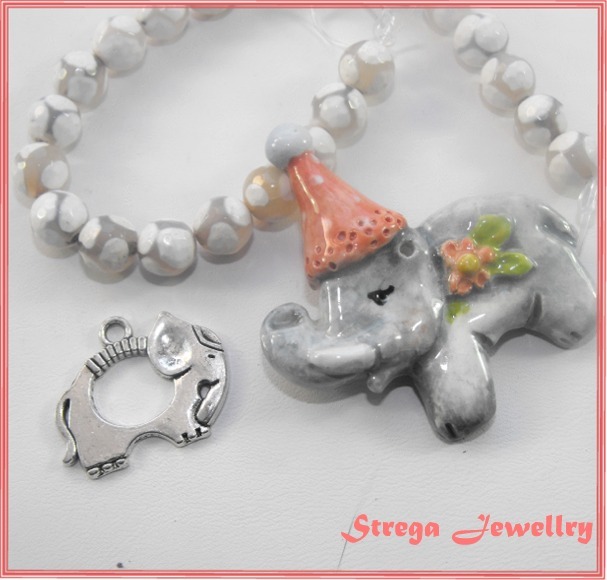 People continue to use charms and charm bracelets to tell the story of their life, whether it be a simple heart charm worn around the neck or charm bracelet filled with tiny treasures. So, what about Art Charms? Our instructions for submission as per Jennifer: only submit ART CHARMS. What does this mean? Well, it means you have in some way created the charm through some type of manipulation. 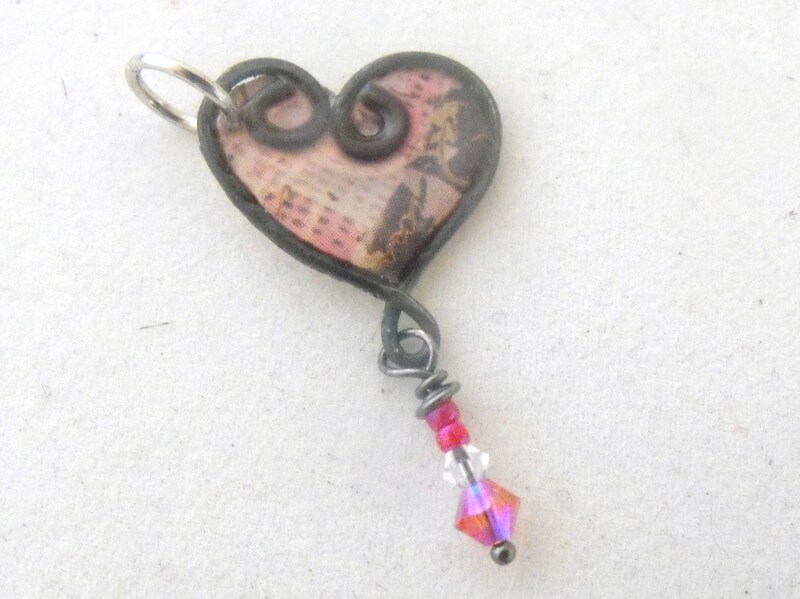 It does NOT mean you add a jump ring to a purchased charm and call it done, or simply wire wrap a loop onto a craft store bead and call it done. 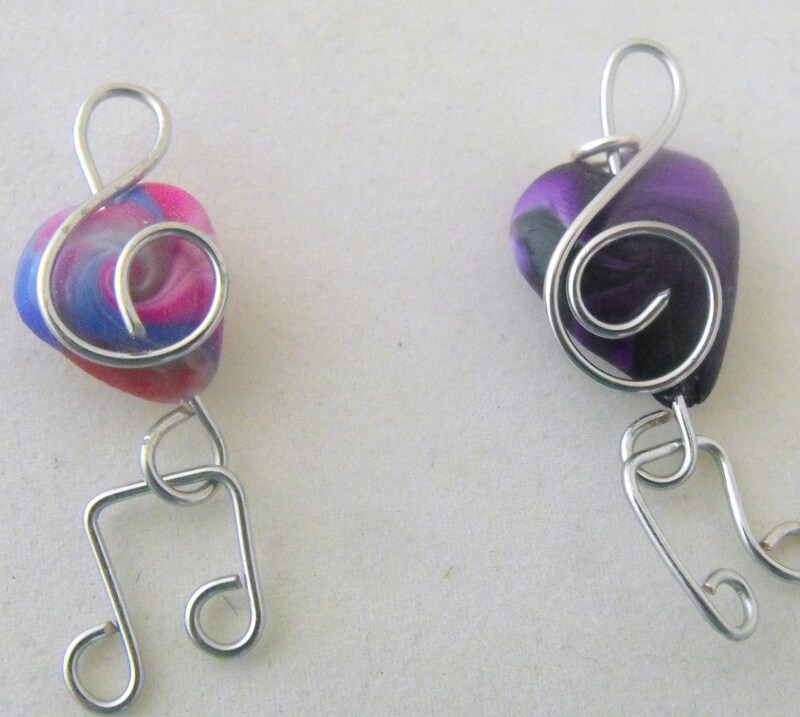 Here are some art charms submitted for last year’s auction. Anyhow, it sure looks like I need to come up with something special. Now I have “performance anxiety”. 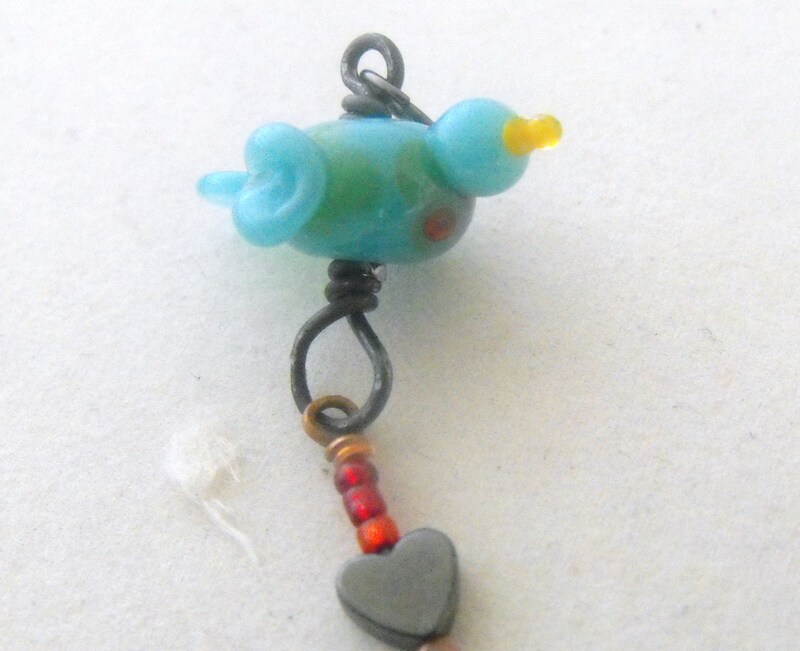 Some of these women make their own polymer clay or lampwork beads. I’m really worried that my charm won’t be good enough, or clever enough. OMG…………what have I got myself into this time? A good week and weekend in spite of one downpour. I learned two new things this week. I’ve been trying to challenge myself and learn something new every week. 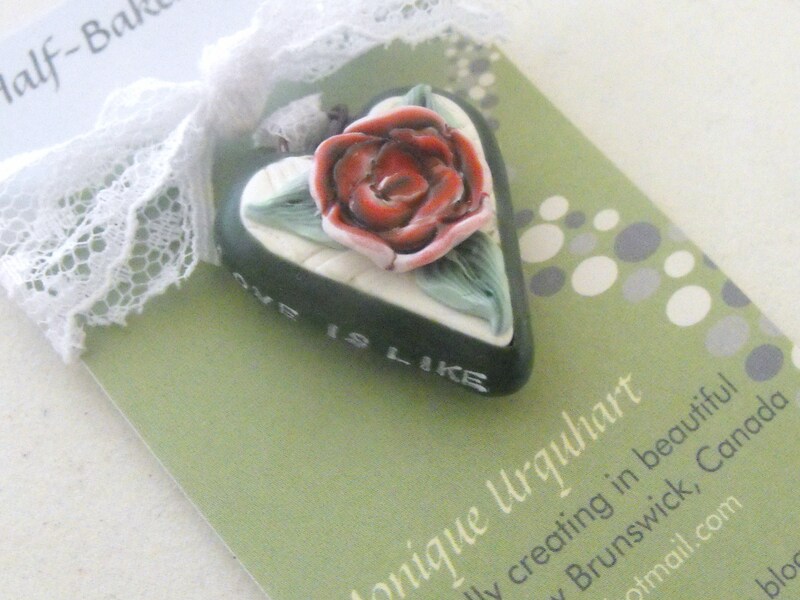 I’ve also been trying to learn a bit about polymer clay. Most folks who are successful sellers also make some type of components of their own. came up with an idea for a toggle clasp but that’s not going to cut it. 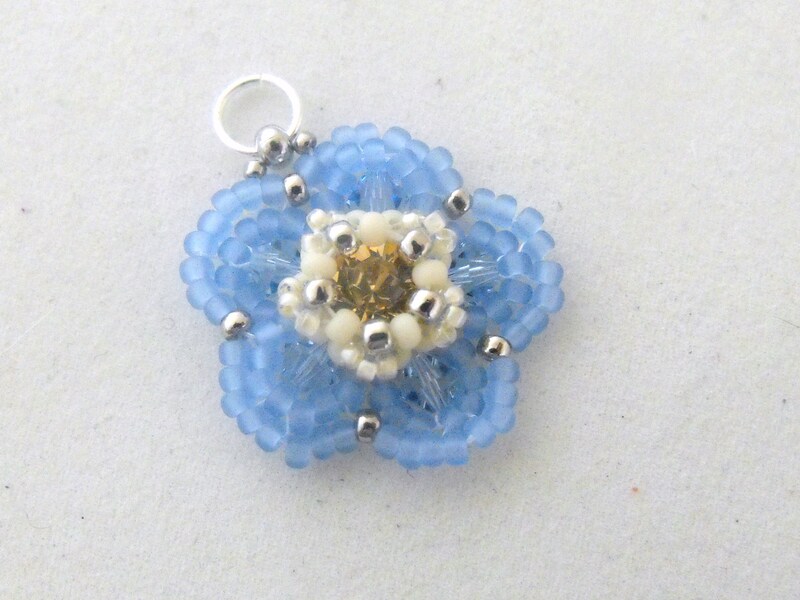 I saw a tutorial to make bead caps with polymer clay so I tried it. I just wanted to make some steampunk beadcaps and tried them out. I spent a rainy afternoon getting the hang of it. Here is a picture of them just out of the oven. They have no finish on them. PITFALLS: Oh yes, there are pitfalls. It’s really hard to center the black caps even though the tutorial said to use black. It’s also hard to get the hole centered. 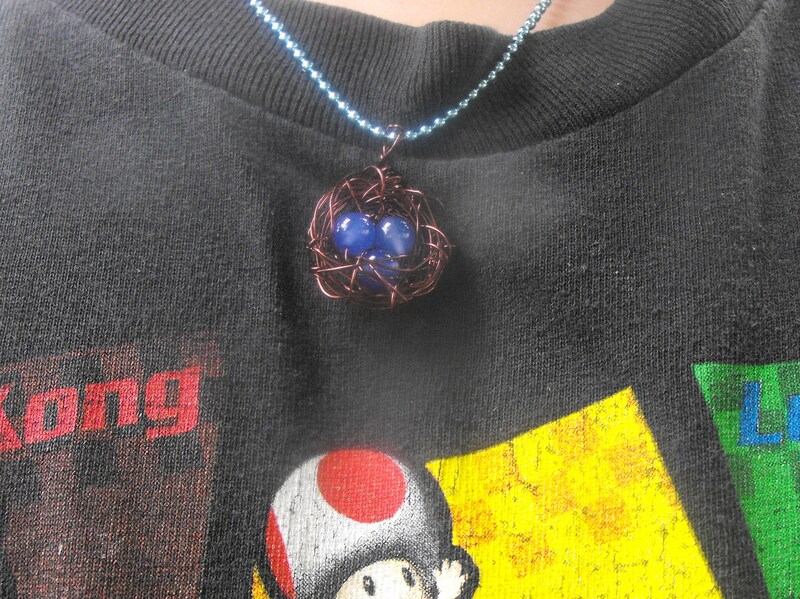 So I tried some with some silver colored clay and it was much easier, especially for someone who is inexperienced. Also, you are supposed to cook them on marbles so they curve, of course. I had the devil’s own time getting them on the marbles without having the center crack. I”m going to shoot an email to the lady who sold the tutorial and ask her if she has any tips. Anyhow, though they do not look professional, I do like the idea and I did learn a few things. After the trials of the beadcap tryouts, I decided to learn one other new thing. 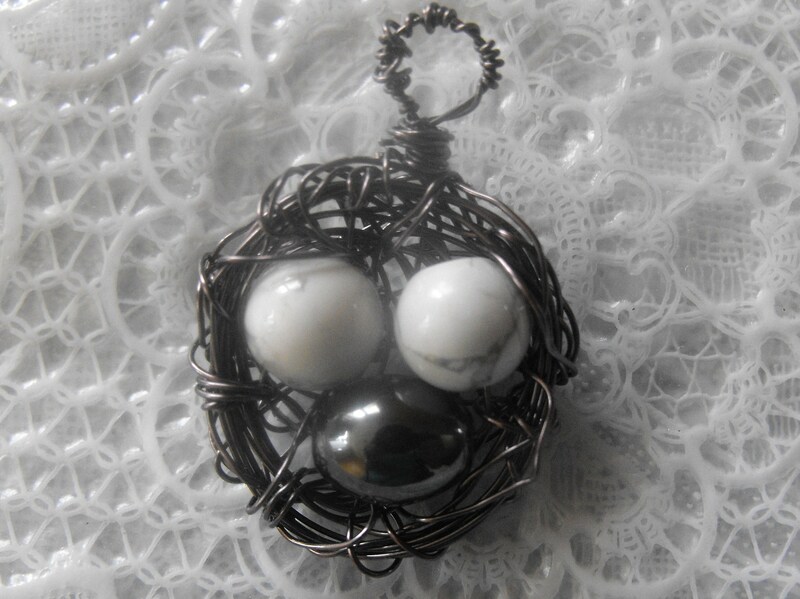 I’ve seen lots of Etsy sellers making little birdnest necklaces with 3 eggs in the center. I found a free tutorial and tried that out. I put 2 white eggs and one black one. I think I’ll put a little charm with it that says “cookoo’s nest” Cookoos leave their eggs in other bird nests. I’ll give it to my daughter who thinks she works in the cookoo’s nest. Sunday, three boys came to spend the afternoon with me while their parents worked. It was a blast of course! 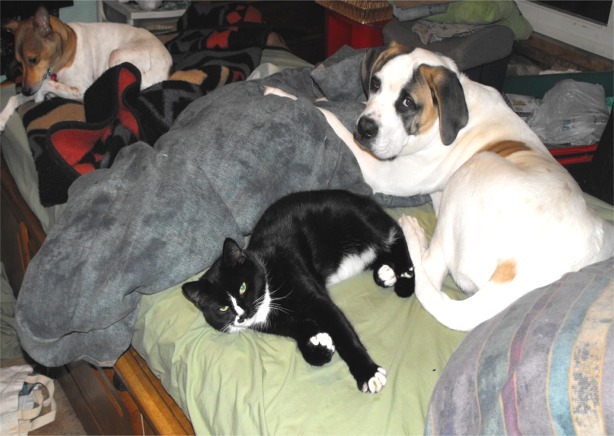 I had a surprise for them. 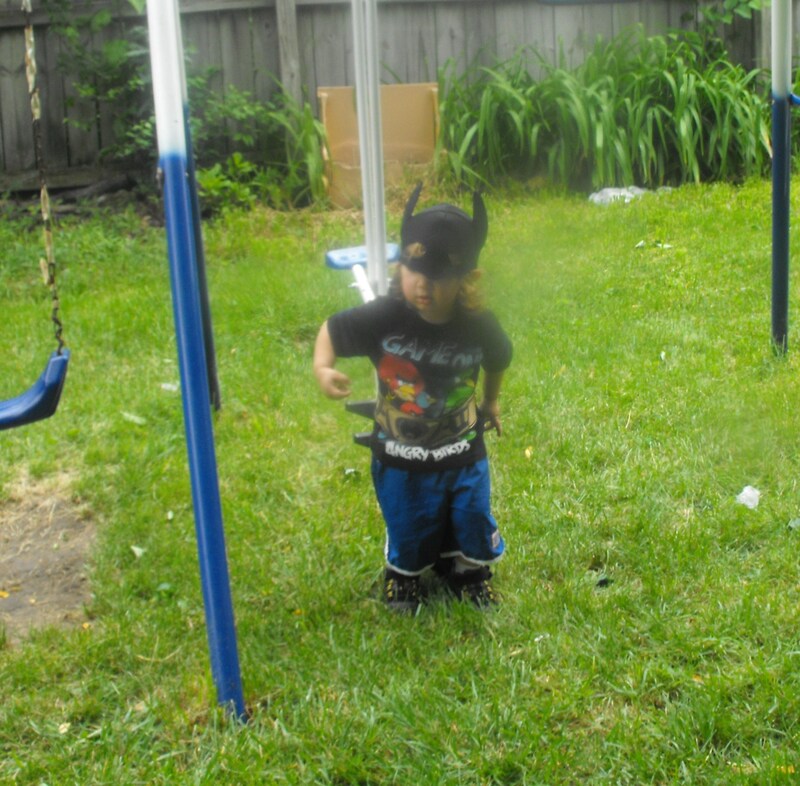 I had found an old box of Halloween costumes and one was perfect for the tiny guy who LOVES Batman. He was in heaven! 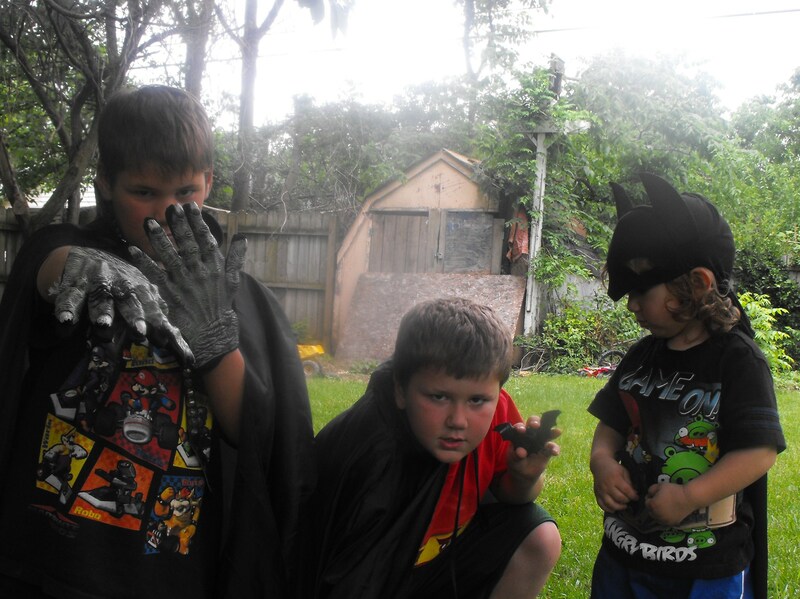 The older boys put on capes and other accessories and I had a yard full of superheroes! 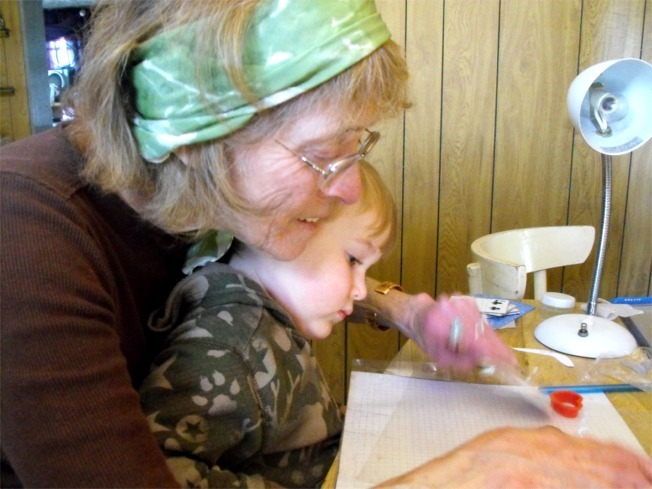 Later on, I taught my oldest grandson to make the birdnest necklace. He did a great job! His nest was perfect!